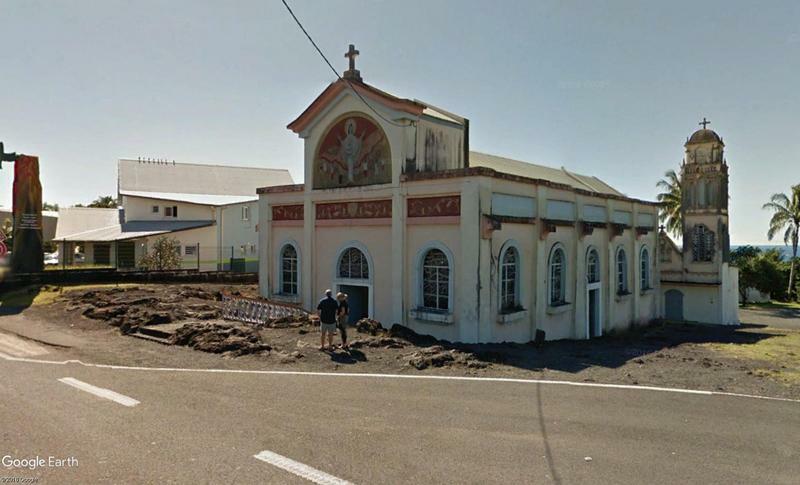 Built in 1927, the Saint Rose Catholic Church in Sainte-Rose (in the French Overseas Territory of Réunion) is one of the great places of worship for the Reunionese. 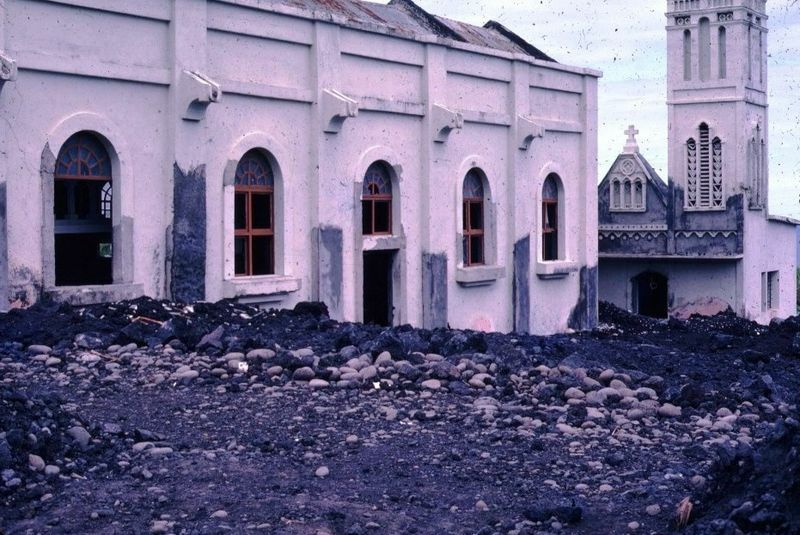 When the volcano Piton de la Fournaise erupted in April 1977, a lava flow reached the small town and caused considerable damage. He reached the small church, flowed 3 meters into the church and then stopped. 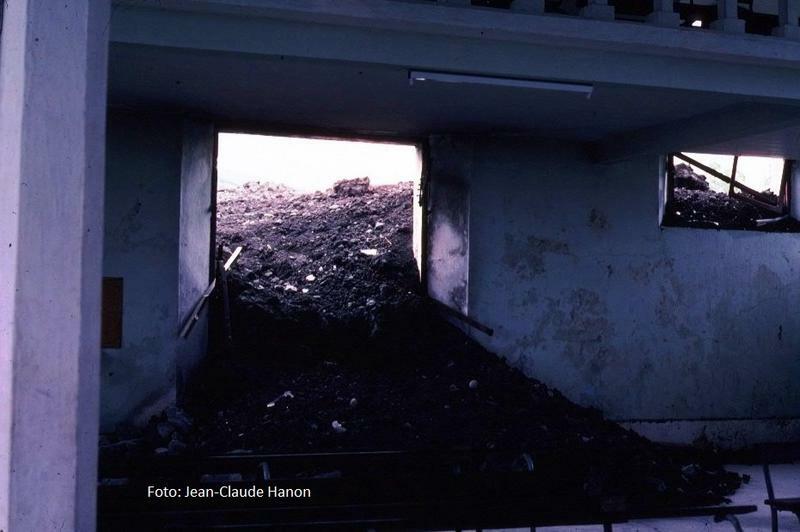 As if by a miracle, the church was damaged only insignificantly and could be used again quickly. Since then she is called Notre Dame des Laves.